I recently had the opportunity to talk with Bobby Snyder, Representative for Freightliner Freightliner in Columbus, Ohio. Q. Who is Bobby Snyder? medium duty trucks throughout my career. Q. 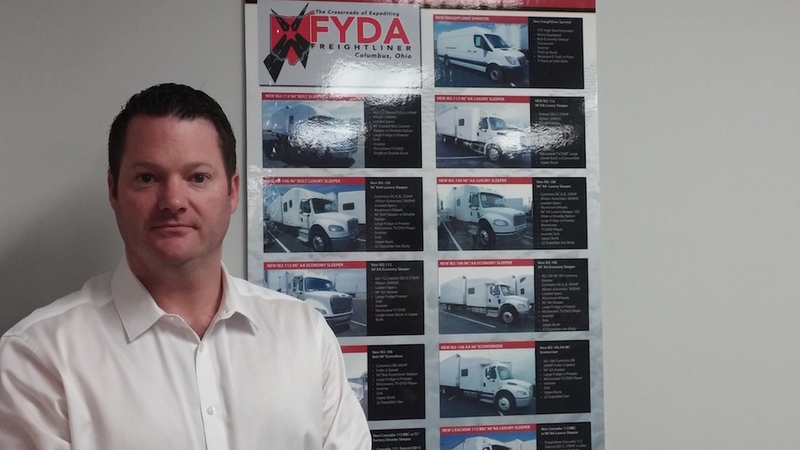 Tell us a little bit about Fyda Freightliner. A. Fyda is family owned and operated since 1954 when they started in Youngstown, OH. We currently own 5 stores all across Ohio and Pennsylvania. We are committed to serving our customers’ needs and strive to develop strong working relationships with them. A. The two that come to mind are equipment and customer base. When I first started there was a typical demographic for expedite truck buyers. Usually they were husband and wife and empty nesters who were not ready to retire but wanted to get paid while seeing the country. There really has been a shift towards small fleet owners and there are very few husband/wife Owner Operators left. The equipment has gone through several emission changes over the years. EGR, DPF and now DEF are the major changes. Truck prices have risen, not only these changes, but also the cost of raw materials and the true cost of inﬂation. Q. What’s the biggest challenge to new expedite truck buyer? A. I think Financing is, and has always been, the biggest challenge for new truck buyers. Q. What is the best ways to overcome this challenge? A. Knowing your credit history and having cash reserves are the best way to handle this. If you are looking to finance a truck you should first check your credit, repair it if needed, and be prepared to put down 10-20% on your purchase. Keep in mind you will also need operating funds for the first month or so. Q. What are three things every truck buyer should know in 2015? A. Be conservative with your cash. It is very important to put some of your money in reserve for a rainy day. Also, buy the most fuel efficient truck that meets your needs. Have a plan that covers 2-5 years and stick to it. Buy a truck that you will be comfortable in since you will be the ones in it every day for the next several years! Be sure you like what you buy. Q. 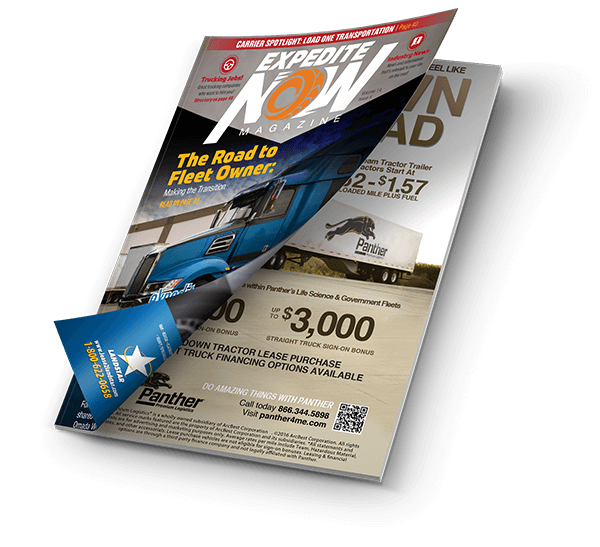 Any new truck expedite truck features, etc. for 2015? A. There are always new improvements each and every year. I have seen a strong push to maximize fuel efficiency and maximize driver comfort. There are also several safety advancements coming in 2015. Active braking assistance and adaptive cruise control would be examples of just a couple. Q. Cincinnati Bengals or Cleveland Browns? A. Great question. I guess it would depend on if you are north or south of l-70. Q. If you had a crystal ball, what does 2015 look like for the industry? willing to spend $150K + on a new truck.